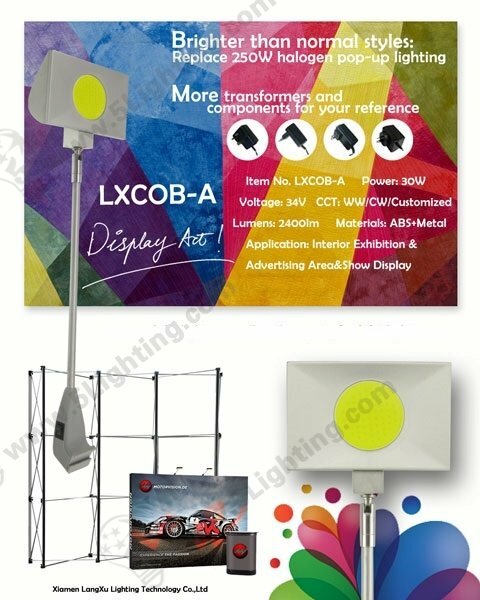 This 30W LED Booth Lighting for Trade Show Display is cost-efficient and durable. It will lighten up your trade show by creating a powerful impact and presence to your display. Using high quality materials: metal. Plastic, aluminum, it is a high level LED displays light. Energy saving, best choice to replace 250W halogen light. Other standard & custom mounting brackets available.